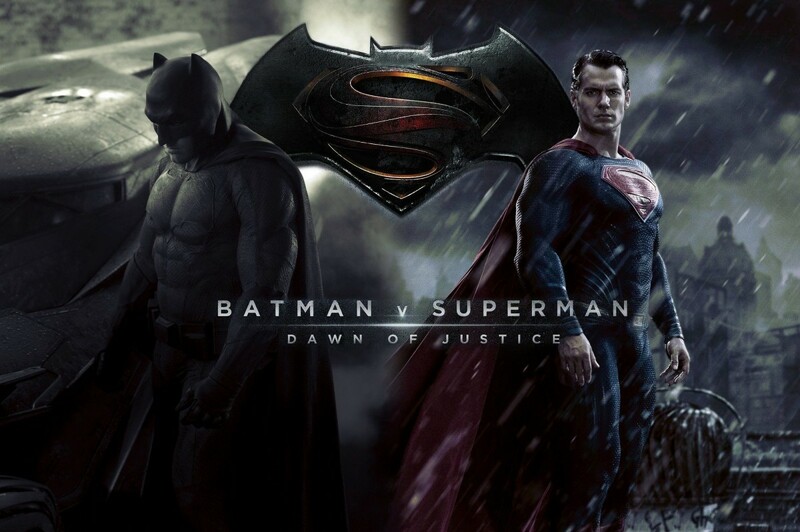 With Batman v Superman: Dawn of Justice hitting theaters March 25, 2016, there is a tremendous amount of fan speculation regarding the film and the direction of the DC Cinematic franchise. 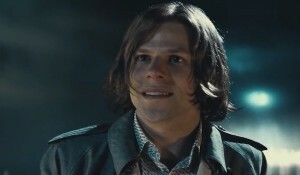 But one question on many people’s minds is, “Why does Jesse Eisenberg’s Lex Luthor have hair? ZIMB takes a look at Lex’s locks and another seemingly incongruity in the trailer. 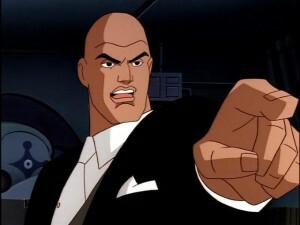 When did Lex Luthor have hair? The character of Lex Luthor is synonymous with a brilliant criminal manipulator whose major physical identifier is his baldness. The powerless villain has been Superman’s arch-nemesis throughout the comics, the cartoons and in many of the motion pictures. But from the Superfriends cartoons through Superman: The Animated Series and the portrayals by both Gene Hackman and Kevin Spacey in motion pictures, Luthor is always bald. Debuting in Action Comics #23 in 1940, Lex was known only as Luthor, living in a flying city supported by a dirigible. Superman spoils his plot to start a war between two European nations. In the comic book, Luther looks to be a middle-aged man with a full crop of red hair. The hair disappeared in the Superman daily comic strip. The baldness is attributed to Leo Nowak, a ghost-artist assisting with the large amount of artwork needed, due to the popularity of Superman. Nowak possibly mistook Luthor for a bald henchman or a different villain. Nowak later drew Superman #10, featuring a bald Lex Luthor. Since that issue, Lex has usually been bald. In a Silver Age story from 1960, Luthor’s hair loss was later attributed to an accident occurring in his laboratory as a young man in Smallville. Superboy’s super-breath extinguishes the flame of the chemical fire resulting in Luther going bald, furthering his hatred of Superman. The locks of Jesse Eisenberg’s Luthor are based on comic book history. Although we see long, crazy-haired Luther in the movie’s latest trailers, there have been teaser images of Eisenberg without hair. It seems at some point in the movie, fans will get the much-recognized shiny pated head of one of the few foes to match wits with the Man of Steel. 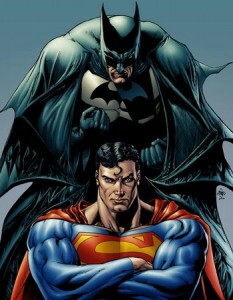 How old is Batman, compared to Superman? “Even you got too old to die young, not for lack of trying,” says Alfred. So, how old is Bruce Wayne, compared to Clark Kent? The trailers show a Bruce Wayne with grey on his temples. He’s been keeping justice in Gotham for a little while now. Producer Michael Uslan, touched upon the age subject: “To go back to the original thought of Bruce Wayne in his mid-40s, I think he’s [Affleck] going to be extraordinary.” Assuming Wayne is around the same age as Affleck, this incarnation of Batman is 42 years old. Superman is much younger than Batman in the film, but it seems he’s not too far off. Henry Cavill tipped off his character’s age in an interview for Man of Steel: “It’s ‘Oh, wait a second, there’s an alien, here! There’s an alien here for thirty-three years, and you can’t hurt him. I don’t know how I feel about this. '” With Batman v Superman taking place about two years after the events of Man of Steel, this Superman is roughly 35 years old. Cavill, himself, is currently 32 years old. In the comic book universe, it’s hard to pinpoint an exact age for the characters, where stories are ongoing for decades. The DC Universe is a fantastic multiverse where characters die and are reborn, and alternate worlds collapse into one continuity. Based on the Batman: Year One storyline, Bruce Wayne starts fighting crime as Batman around the age of 25, having spent the prior years training his mind and body for his mission. After years of adventures and multiple sidekicks, it seems comic book Batman is in his mid-30s. Superman also has been put in the mid-30s range, with the Zero Hour storyline showing him as 35. Many stories indicate they are nearly the same age, with Batman being slightly older. The New 52 comic book universe, which somewhat rebooted the DC Universe continuity yet again, currently puts Batman at about four to five years older than Superman. However, to place it in the most objective terms, based on when each character made his comic book debut, Superman is technically older, having been published first in Action Comics #1 in June 1938. Batman made his first appearance in Detective Comics #27, published May 1939.